Shows, Meet & Greets, Dining, & Attractions for Beauty and the Beast fans! 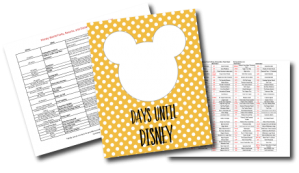 If you’re a Beauty and the Beast fan, our printable guide is for you! 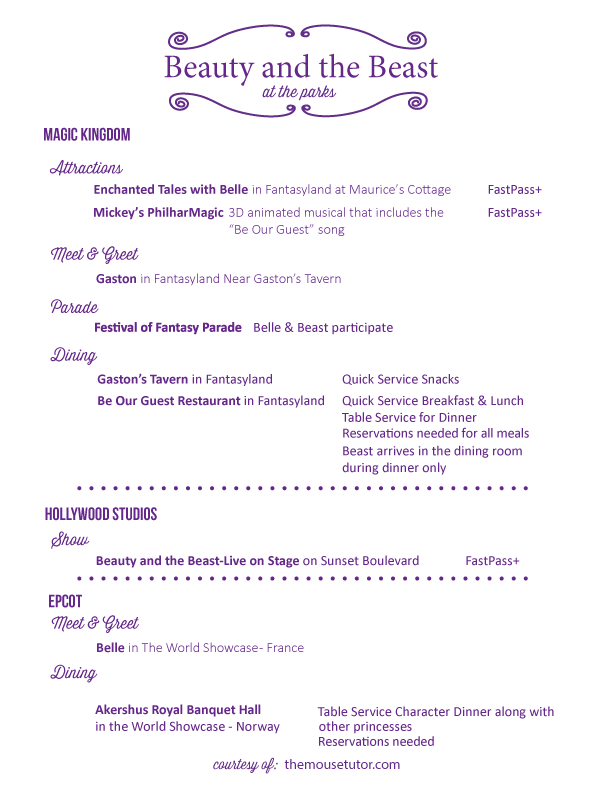 We don’t want you to miss anything “Beauty and the Beast” at the parks so we made a single page download for you! Access to this and everything else in our Library is yours when you sign up for our e-mail list. We’ll get the password over to your inbox right away.